Xochimilco is one of the 16 mayoralities (“alcaldías”) or boroughs within Mexico City. 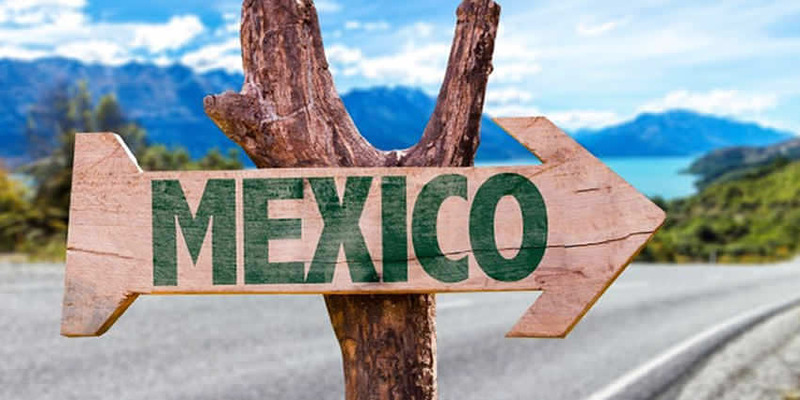 The borough is centered on the formerly independent city of Xochimilco, which was established on what was the southern shore of Lake Xochimilco in the pre-Hispanic period. Today, the borough consists of the eighteen “barrios” or neighborhoods of this city along with fourteen “pueblos” or villages that surround it, covering an area of 125 km2 (48 sq mi). The borough is in the southeastern part of the city and has an identity that is separate from the historic center of Mexico City, due to its historic separation from that city during most of its history. Xochimilco is best known for its canals, which are left from what was an extensive lake and canal system that connected most of the settlements of the Valley of Mexico. These canals, along with artificial islands called chinampas, attract tourists and other city residents to ride on colorful gondola-like boats called “trajineras” around the 170 km (110 mi) of canals. 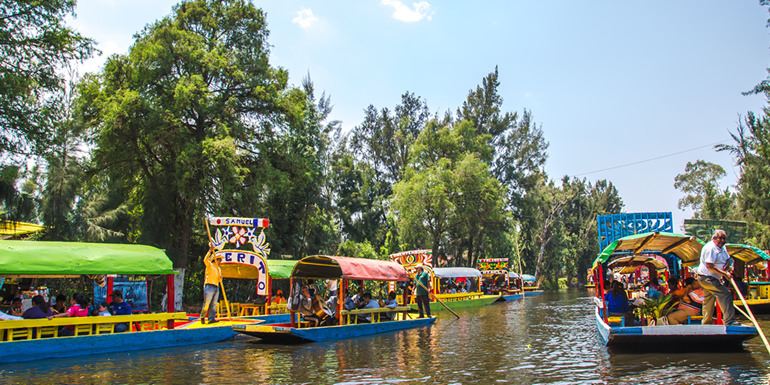 This canal and chinampa system, as a vestige of the area’s pre-Hispanic past, has made Xochimilco a World Heritage Site. In 1950, Paramahansa Yogananda in his celebrated classic Autobiography of a Yogi wrote that if there is a scenic beauty contest, Xochimilco will get the First Prize. However, severe environmental degradation of the canals and chinampas has brought that status into question. he borough of Xochimilco was created in 1928, when the federal government reorganized the Federal District of Mexico City into sixteen boroughs. The Xochimilco borough was centered on what was the city of Xochimilco, which had been an independent settlement from the pre-Hispanic period to the 20th century. The area’s historic separation from Mexico City proper remains in its culture. While officially part of the city, its identity is more like a suburb. This historic center was designated as a “Barrio Mágico” by the city in 2011. The borough is center-south of the historic center of Mexico City, and bordered by the boroughs of Tlalpan, Coyoacán, Tláhuac and Milpa Alta. It extends over 125 km2 (48 sq mi), accounting for 8.4% of the Federal District’s territory. It is the third largest borough, after Tlalpan, and Milpa Alta. The borough has an emblem, also known as an Aztec glyph, which is a representation of the area’s spongy soil from which two flowering plants emerge. In spite of the serious environmental issues, 77.9% of the territory is designated as ecological reserve, 15.2% as residential and 4.6 as commercial and industrial. In 2005, the borough had a population of 404,458, 4.6% of the total population of the Federal District. The growth rate is 1.8% for the past decade, lower than the decade previous. However, a large percentage of the borough’s population lives in poverty and many live illegally on ecological reserves, lacking basic services such as running water and drainage. In the past, houses in the area were constructed from adobe and wood from juniper trees, but today, most constructions are boxy cinderblock constructions, many of which are not painted. 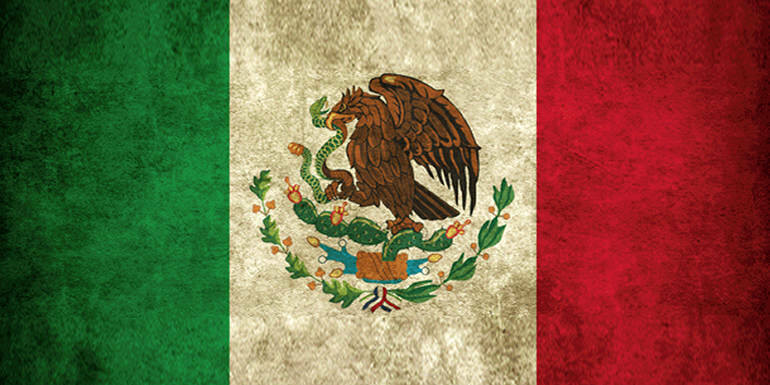 By the 2010 census its population had grown to 415,007 inhabitants, or 4.69% of Mexico City’s total. What was the city of Xochimilco, now sometimes called the historic center of the borough, began as a pre-Hispanic city on the southern shore of Lake Xochimilco. After the Conquest, the Spanish built the San Bernardino de Siena monastery and church, which is still the center of the borough. The main street through the center of town, Guadalupe I.Ramirez, was originally a land bridge connecting this area, then on an island, to the causeway that lead to Tenochtitlan (Mexico City). As the lake dried, the bridge became road, and it was called the Puente de Axomulco in the colonial era. It received its current name in the 1970s to honor a delegate of the borough. This town center also has a large plaza and to the side of this, a large area filled with street vendors, many selling ice cream. There is also a “Tiangus de Comida” or market filled with food stalls. This center underwent renovations in 2002 at a cost of sixty million pesos. Drainage and sidewalks were improved and security cameras installed. To improve the area’s look for tourists, businesses in the center agreed with the borough and INAH to change their façades to certain colors. These remaining canals and their ecosystem was declared a World Heritage Site in 1987, with the purpose of saving them. An important part of this ecosystem is a juniper tree called a “ahuejote” that is native to the shallow waters of the lake/canals. These stem erosion, act as wind breakers and favor the reproduction of a variety of aquatic species. Some of these endemic species include a freshwater crayfish called an acocil, and the Montezuma frog. However, the most representative animal from these waters is the axolotl (Ambystoma mexicanum). This amphibian was used as a medicine, food and ceremonial object during the Aztec empire. 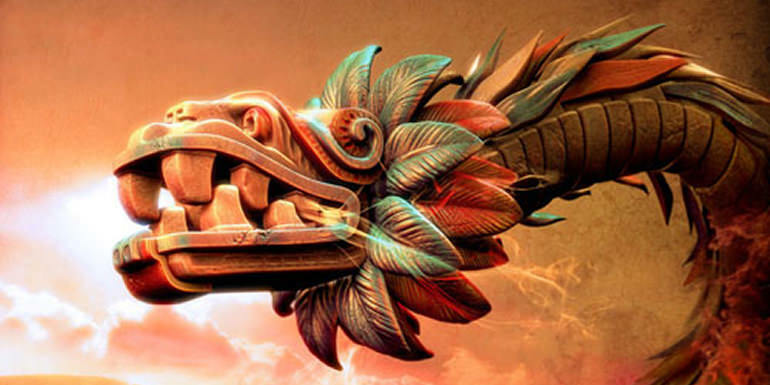 It was considered to be an incarnation of the god Xolotl, brother of Quetzalcoatl. It has been studied due to its abilities to regenerate limbs and other body parts. It can also reach sexual maturity as a larva, which no other amphibian can do. While mostly aquatic, it does have limited ability to breathe air. As of 2003, there were only 600 axolotls known to exist in the wild. Most of the threat to the species is loss of habitat and pollution, but the introduction of non-native fish such as tilapia has also had disastrous effects on the population of this and other species. Conservation efforts include research and environmental education. The Grupo de Investigación del Ajolote en Xochimilco (GIA-X) is a nonprofit research group dedicated to the preservation of the axolotl, which is in danger of extinction. It works to better understand the creature as well as with the local community to protect what is left of its habitat. In addition to species that live in the area year round, the wetlands here host about forty percent of the migratory bird species that arrive to Mexico, roughly 350, use the wet areas around Xochimilco for nesting. Many of these come from the United States and Canada. However, much of this habitat has been urbanized. About 700 species have been found in the area overall. Some of the migratory species include pelicans, storks, buzzards and falcons. Canals in the waters of Lake Xochimilco were initially created along with that of a kind of artificial agricultural plots called chinampas. Chinampas were invented by the pre-Hispanic peoples of the region around 1,000 year ago as a way to increase agricultural production. On the shallow waters of the lakes, rafts were constructed of juniper branches. Onto these rafts floating on the water, lakebed mud and soil were heaped and crops planted. These rafts, tied to juniper trees, would eventually sink and a new one be built to replace it. Over time, these sunken rafts would form square or rectangular islands, held in place in part by the juniper trees. As these chinampa islands propagated, areas of the lake were reduced to canals. These “floating gardens were an important part of the economy of the Aztec Empire by the time the Spanish arrived. Today, only about 5,000 chinampas, all affixed to the lake bottom, still exist in their original form, surrounded by canals and used for agriculture. The rest have become solid ground and urbanized. In the center of Xochimilco, there are about 200 chinampas, covering an area of 1,800 hectares. However, one reason the number has decreased is that smaller chinampas have been combined to create larger ones. While there are still those who maintain chinampas traditionally, and use them for agriculture, the chinampa culture is fading in the borough with many being urbanized, and being turned into soccer fields, and sites for housing and businesses. The deterioration of many of these chinampas can be seen as their edges erode into the dark, polluted water of the canals. The most deteriorated chinampas are located in the communities of Santa María Nativitas, Santa Cruz Acalpixca, San Gregoria Atlapulco and Ejido de Xochimilco. Together, these have a total of thirty eight illegal settlements. To repair a number of chinampas, the borough along with federal authorities, has reinforced forty two km of shoreline, of the 360 km (220 mi) that exist in the lake area. This involves the planting of juniper trees and the sinking of tezontle pylons into the lakebed. These remaining chinampas are part of the Xochimilco World Heritage Site. Have since changed use and become residences and businesses. Those that remain agricultural are mostly used as nurseries, growing ornamental plants such as bougainvilleas, cactuses, dahlias, day lilies, and even bonsai. As they can produce up to eight times the amount of conventional land, they are still an important part of the borough’s agricultural production. There have been various attempts to save the remaining chinampas, including their cataloguing by UNESCO, UAM and INAH in 2005, and various reforestation efforts, especially of juniper trees. About an hour long canal ride from an embarcadero, pier, lies Isla de las Muñecas, or the Island of the Dolls. It is the best-known chinampa, or floating garden, in Xochimilco. It belonged to a man named Don Julián Santana Barrera, a native of the La Asunción neighborhood. Santana Barrera was a loner, who was rarely seen in most of Xochimilco. According to the legend, Barrera discovered a little girl drowned in mysterious circumstances in the canals. He also found a doll floating nearby and, assuming it belonged to the deceased girl, hung it from a tree as a sign of respect. After this, he began to hear whispers, footsteps, and anguished wails in the darkness even though his hut—hidden deep inside the woods of Xochimilco—was miles away from civilization. Driven by fear, he spent the next fifty years hanging more and more dolls, some missing body parts, all over the island in an attempt to appease what he believed to be the drowned girl’s spirit. After Barrera’s death in 2001—his body reportedly found in the exact spot where he found the girl’s body fifty years before—the area became a popular tourist attraction where visitors bring more dolls. The locals describe it as “charmed”—not haunted—even though travelers claim the dolls whisper to them. Professional photographer Cindy Vasko visited the nightmarish island in 2015 and described it as the “creepiest place she has ever visited”. The excursion began through maze-like canals, surrounded by lush greenery and beautiful singing birds, but soon her boat was slowed down by a swarm of lily pads and the canal fell ominously silent. She told MailOnline: “At the end of the journey, the trajinera turned along a bend in the waterway and I was struck by a surreal vision of hundreds, maybe thousands, of dolls hanging from trees on the tiny island.” The dolls are still on the island, which is accessible by boat. The island was featured on the Travel Channel show Ghost Adventures. The name “Xochimilco” comes from Nahuatl and means “flower field.” This referred to the many flowers and other crops that were grown here on chinampas since the pre-Hispanic period. The first human presence in the area was of hunter gatherers, who eventually settled into farming communities. The first settlements in the Xochimilco area were associated with the Cuicuilco, Copilco and Tlatilco settlements during the Classic period. The Xochimilca people, considered one of the seven Nahua tribes that migrated into the Valley of Mexico, first settled around 900 CD in Cuahilama, near what is now Santa Cruz Acalpixca. They worshipped sixteen deities, with Chantico, goddess of the hearth and Cihuacoatl, an earth goddess and Amimitl, god of chinampas the most important. The Xochimilcas were farmers and founded their first dominion under a leader named Acatonallo. He is credited with inventing the chinampa system of agriculture to increase production. These chinampas eventually became the main producer with crops such as corn, beans, chili peppers, squash and more. The city of Xochimilco was founded in 919. Over time, it grew and began to dominate other areas on the south side of the lakes such as Mixquic, Tláhuac, Culhuacan and even parts of what is now the State of Morelos. Xochimilco had one woman ruler, which did not happen anywhere else in Mesoamerica in the pre-Hispanic period. 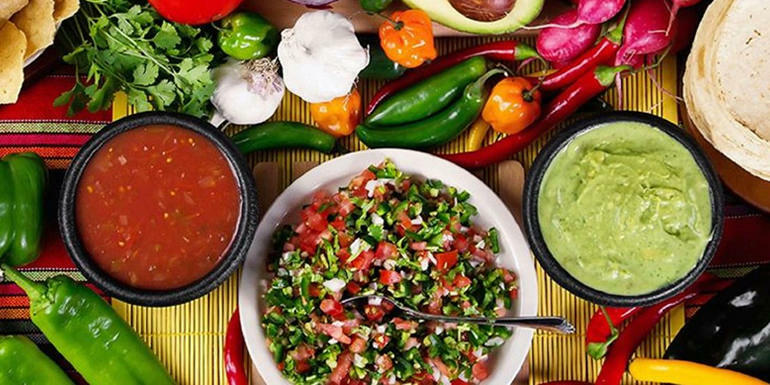 She is credited with adding a number of distinctive dishes to the area’s cuisine, with inclusions such as necuatolli, chileatolli (atole with chili pepper), esquites and tlapiques. In 1352, then emperor Caxtoltzin moved the city from the mainland to the island of Tlilan. In this respect it was like another island city in the area, Tenochtitlan. Although no longer an island, the city center is still in the same spot. In 1376, Tenochtitlan attacked Xochimilco, forcing the city to appeal to Azcapotzalco for help. The conquest was unsuccessful, but Xochimilco was then forced to pay tribute to Azcapotzalco. Tenochtitlan succeeded in conquering Xochimilco in 1430, while it was ruled by Tzalpoyotzin. Shortly thereafter, Aztec emperor Itzcoatl built the causeway or calzada that would connect the two cities over the lake. During the reign of Moctezuma Ilhuicamina, the Xochimilcas contributed materials and manpower to construct a temple to Huitzilopochtli. 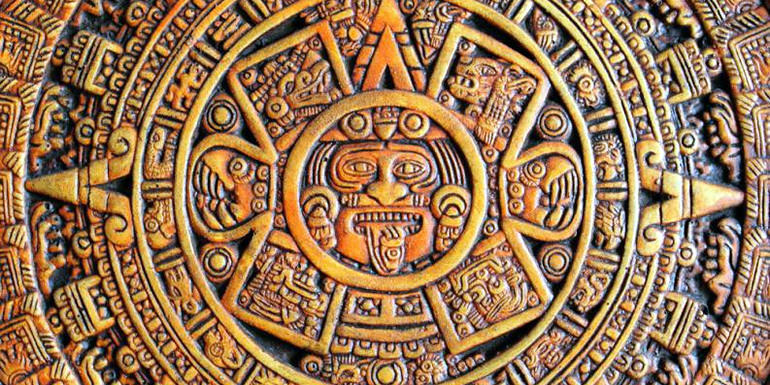 They also participated in the further conquests of the Aztec Empire such as in Cuauhnáhuac (Cuernavaca), Xalisco and the Metztitlán and Oaxaca valleys. For their service, Ahuizotl, granted the Xochimilcas autonomy in their lands, and the two cities coexisted peacefully. Aztec emperors would pass by here on royal barges on their way to Chalco/Xico, then an island in Lake Chalco. For centuries Xochimilco remained relatively separate from Mexico City but provided much of the larger city’s produce. Pre-Hispanic Xochimilco was an island connected to the mainland by three causeways. One of these still exists in the form of Avenida Guadalupe I.Ramirez, one of the city’s main streets. This causeway led to the main ceremonial center of the town, which was called the Quilaztli. The Spanish destroyed the Quilaztli during the Conquest, and replaced it with the San Bernardino de Siena Church, which would become the social and political center of the colonial city. The city in turn, was the most important settlement in the south of the Valley of Mexico in the colonial era. It became a settlement of Spanish, criollos and mestizos, with the indigenous living in rural communities outside of the city proper. Xochimilco was granted the title of city by Felipe II in 1559. Through much of the colonial era, the city’s native population was decimated by epidemics, especially typhoid. Despite this, and because of the apparent acceptance of Christianity, the Xochimilcas were permitted to retain a number of their traditions and their identity as a people. The area remained mostly indigenous for much of the colonial period. Its importance as an agricultural center with easy access to Mexico City meant that in the 17th century, about two thousand barges a day still traveled on the waters that separated the two areas. In 1749, Xochimilco became a “corregimiento” or semi-autonomous area from Mexico City and would remain so until Independence. 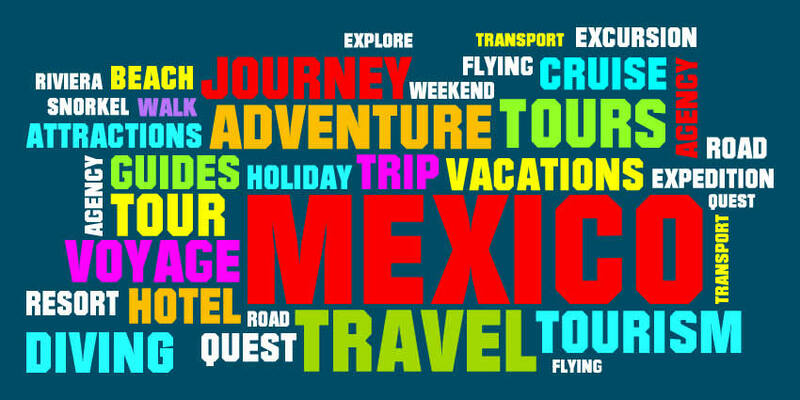 It would also increase in importance as a stopover for those traveling between Mexico City and Cuernavaca. Also during this time, Xochimila Martín de la Cruz, wrote Xihuipahtli mecéhual amato” better known as the Aztec Herbal Book or the Cruz-Badiano Codex. It is the oldest book on medicine written on the American continent. It was translated into Latin by Juan Badiano. The original is in the Vatican. After Independence, Xochimilco became a municipality in what was then the State of Mexico. It would later become a part of the Federal District of Mexico City after the Mexican American War, when this district was expanded. Manuel Payno in his novel “Los bandidos del río Frio” related a journey through here between San Lázaro and Chalco. In 1850, the first steam powered boat traveled through here, connecting Mexico City with Chalco. Steam powered ships remained in Xochimilco waters from then until the 1880s, when they faded from use. Before, during and after, Xochimilco continued to make more traditional rafts, canoes and trajineras, pushed along the shallow waters by a pole. Up through the centuries, the valley lakes continued to shrink but there were still canals that linked Xochimilco to the center of Mexico City. In the late 19th century, Mexico City had outgrown its traditional water supplies and began to take water from the springs and underground aquifers of Xochimilco. Degradation of the lakes was fastest in the early 20th century, when projects such as the Canal del Desagüe were built to further drain the valley. This and excessive aquifer pumping lowered water tables and canals near Mexico City center dried up and cut off an inexpensive way to get goods to market for Xochimilco. This had a major effect on the area’s economy, along with the effects of the loss of fishing for communities such as Santa Cruz Acalpixca, San Gregorio Atlapulco and San Luis Tlaxialtemalco. (rescartarlo) In 1908, an electric tram serves was inaugurated that was supposed to reach Tulyehualco, but never did. In the 1920s, Xochimilco lost control of most of its water supply, taken by the city for its needs. The urban sprawl of Mexico City reached Xochimilco in the mid 20th century and it still affects the borough today. In the 1970s, the federal government began to replace the lost supply to the canals with treated water from the nearby Cerro de la Estrella. This is most of the water that now flows in the canals. The treated water is clear, but not potable due to bacteria and heavy metals. However, it is used to irrigate crops grown on the chinampas, even though the canals are further polluted by untreated sewerage and garbage. The biggest threat to the canals and their ecosystem is uncontrolled sprawl, mostly due to illegal building on conservation land. These settlements are polluting canals with untreated garbage and waste, and filling in canals to make “new land.” There are thirty one illegal settlements in the historic center, with 2,700 constructions. Ten of these are in the chinampas of San Gregorio Atlapulco, San Luis Tlaxialtemalco, Santa Cruz Acalpixca and Santa María Nativitas. The borough and UNESCO are at odds over what to do about the 450 hectares of illegal settlements. UNESCO demands their eviction, but the borough says this would be too difficult and better to legalize the settlements, putting efforts into preventing more. From the pre-Hispanic period to the present, religion has pervaded the life of people in this region. Since it was imposed in the early 16th century, the Catholic religion has permeated and molded popular culture. Like in other parts of Mexico, indigenous ideas and practices, such as those of the Xochimilca, were not completely eradicated. Instead, many were integrated and readapted to Catholicism. One example of this is the building of churches over former temples and other sacred sites. These churches’ decoration often have indigenous elements to them as well. Despite the fact that 91% of the population self identifies as Catholic, there are still many indigenous and traditions related to the agricultural cycle. A more important syncretism has been the many religious festivals that occur through the year, and the means by which these festivals are sponsored and organized. Much of religious practice in the borough is through symbolic processes that work to produce a kind of social cohesion. The most visible of these are the large civic/religious festivals. After the Conquest, Spaniards began to build churches and monasteries in the various villages in what is now the borough. Typical of these is the monastery at Santa María Tepepan, constructed between 1525 and 1590. Today, Xochimilco has nine parishes and five rectories. The most important of this is also the first church established in the area, the San Bernardino de Siena church and former monastery founded by Martín de Valencia. The current church building was constructed between 1535 and 1590 under the direction of Francisco de Soto, but the cloister and monastery area were not finished until the early 17th century. In 1609, a monastery school was founded at the site with classes in rhetoric, theology and arts and letters. Most of the funding of the project came from indigenous leaders of the area, especially Martín Cerónde de Álvaro. In 1538, the Church wanted to bring the complex’s Franciscans into Mexico City, but the local people opposed and won. However, in 1569, there were still only four monks serving over 5,000 native people. Soon after, the indigenous population was organized into neighborhoods for indoctrination and census purposes: Santiago Tepalcatlalpan, San Lucas Xochimanca, San Mateo Pochtla, San Miguel Topilejo, San Francisco Tlalnepantla, San Salvador Cuautenco, Santa Cecilia Ahuautla, San Andrés Ocoyoacac, San Lorenzo Tlatecpan, San Martín Tiatilpan, Santa Maria Nativitas Zacapan y Santa Cruz Acalpixcan. Major restoration work was done on the church in its decorative elements in the 1970s. This also included removing two schools that had been established on the large atrium area as well as banning commercial activities from the same. The church’s only chapel serves as a tabernacle. This room contains a large painting of Calvary. There are also a large number of notable paintings by names such as Echave Orio, Simón Pereyns, Sánchez Salmerón Caravaggio, Francisco Martínez, Luis Arciniegas and Juan Martínez Monteñés. The baptismal fonts are decorated in acanthus leaves, among which is a pre-Hispanic style skull. The organ is Baroque from the 17th century. The pews are made of red cedar as are the two pulpits, all made by Juan Rojas in the 18th century. The La Santisima Trinidad Chililico Church is noted for its equestrian statue of Saint James as well as its collection of documents related to Xochimilco’s history. It is located in the La Santisima neighborhood. Since the pre-Hispanic period, Xochimilco’s economy has traditionally been based on agriculture, mostly by supplying to the needs of Mexico City. This not only dominated the economy but also the area’s religious practices, some of which can still be seen to the present day. Agriculture still remains important in the borough, but most of the focus has shifted to flowers and ornamental plants. One major reason for this is the poor quality of the area’s water supply. Xochimilco has four major markets dedicated to the sale of plants and flowers: Cuemanco, Palacio de la Flor, Mercado de Madre Selva and the historic market at San Luis Tlaxialtemalco. Cuemanco is the largest in Xochimilco and the largest of its kind in Latin America, covering thirteen hectares, with its own cactus garden and forms part of the ecological preserve of Cuemanco. The borough produces 2.5 million poinsettias each year, accounting for most of the 3.5 million sold each year in Mexico City. This represents an income for the borough of about 25 to 30 million pesos annually, grown by about 10,000 growers. However, starting in the latter 20th century, most of area’s economy has shifted away from agriculture. One reason for this is the deterioration of the area’s environment. Plagues and poor planning have gravely affected the conservation area in Xochimilco, to the extent that many fruit trees traditionally grown here have disappeared, including capulins and peaches. Over the last forty years, the percentage of people in the borough working in agriculture has dropped from forty percent to three percent. Xochimilco still has 3,562 units of agricultural production, accounting for 17.7% of the total of the Federal District. These cover 2,741.4 hectares of land or 11.4% of the District. 2741.4 hectares is farmland, with a much smaller amount dedicated to fishing and forestry. Xochimilco accounts for 90.8 percent of the flower production of the District, 76.9% of poinsettias, and all of the geraniums and roses grown here. It also grows about 40% of the District’s spinach crop, 24.6 of the figs, 8.7 of pears, 13.2 of pears and 9% of plums. As a producer of livestock, Xochimilco accounts for 36% of the cattle, 29.8% of the pig, 17.2 of sheep and 27.8% of the domestic fowl production of the District. Most of the employed are in manufacturing (23.5%) commerce (39,7%) and services (33.3%). Over 91% of all businesses in the borough are related to commerce and services. However, manufacturing contributes to 61.8% of the borough GDP, with commerce at 18.9% and services at 18%. 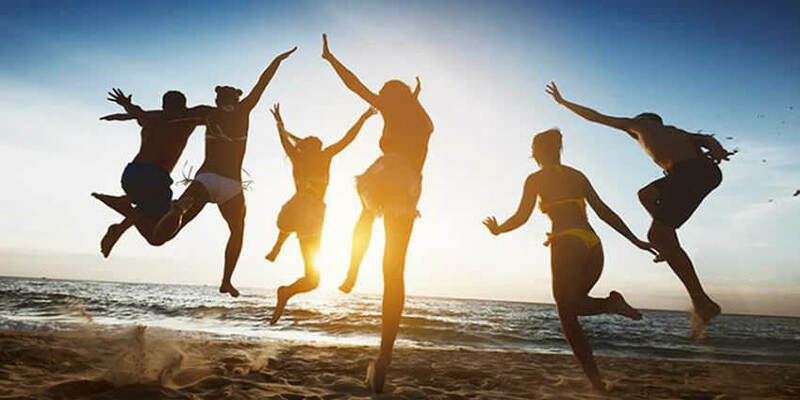 After agriculture, the most visible economic activity is tourism, which is considered part of commerce and services. The canals, chinampas and trajineras are the borough’s main tourist attraction. In February 2011, trajinera operators protested the existence of “clandestine” tour operators supposedly tolerated by authorities. There are supposedly as many as twenty five or thirty of these who pay bribes of 500 pesos a month to operate away from the six embarcaderos authorized by the borough. However, relative to the rest of the city, Xochimilco has a negligible amount of hotel infrastructure. There are no five star hotels. There are 183 four-star and 98 three-star hotels, but they represent only two percent and one percent respectively of the total for the city. 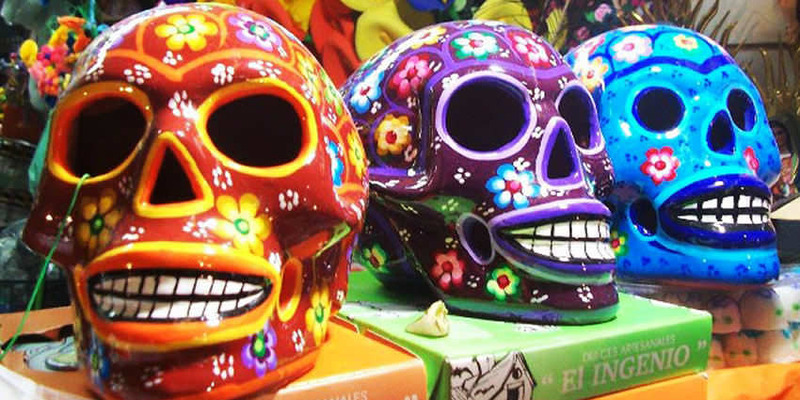 Aside from the canals and trajineras, the best known attraction in Xochimilco is the Dolores Olmedo Museum. This museum was once the home of socialite Dolores Olmedo. Before this, it was the main house of the La Noria Hacienda, established in the 17th century. Before she died, Ms. Olmedo decided to donate her house, much of what was in it and her art collection to the public as a museum. The buildings are surrounded by gardens planted with native Mexican species, around which wander peacocks. Another area houses a number of xoloitzcuintle dog. The museum’s collection includes about 600 pre Hispanic pieces, the largest collection of works by Diego Rivera at 140 pieces, as well as a number of works by Frida Kahlo and Angelina Beloff. It also contains rooms filled with furniture, items from many parts of the world and everyday items used by Olmedo and her family. In November, the museum set up a monumental altar to the dead. The Universidad Autónoma Metropolitana was established in 1974 in Xochimilco under Mexican president Luis Echeverría to meet the growing demand for public university education in the city. 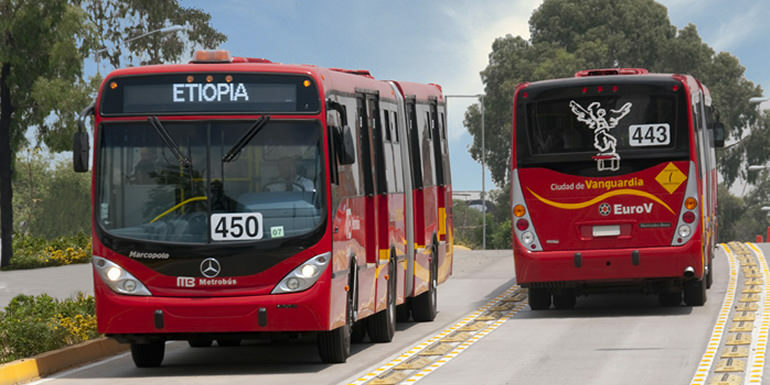 Currently, the institution has three campuses in the Federal District, in Azcapotzalco, Iztapalapa and Xochimilco and it is composed of several academic divisions. These divisions include the División de Ciencias y Artes para el Diseño, División de Ciencias Biológicas y de la Salud and the División de Ciencias Sociales y Humanidades. The institution offers about twenty bachelor’s degrees, an equal number of master’s and doctorate degrees as well as a number of certificate programs. The Escuela Nacional de Artes Plásticas (National School of Fine Arts) was originally established as the San Carlos Academy in the historic center of Mexico City during the late colonial era in 1781. The school became the most prestigious art academy in Mexico after Independence in the 19th century. In 1910, the school was incorporated into the Universidad Nacional Autónoma de México. In the 1970s, the school divided into an undergraduate and graduate division and in 1979, the undergraduate division moved to a new campus in Xochimilco, leaving the graduate studies at the traditional site in the historic center. ENAP remains as the country’s largest and most prestigious art education institution.